Details: 15 inch	427 pin drive wheels set of 4 including spinners. .This set is designed to fit the standard Backdraft hubs and drive pins and the offset is correct. Gunmetal gray centers polished outer rims. Complete with forged polished spinners. 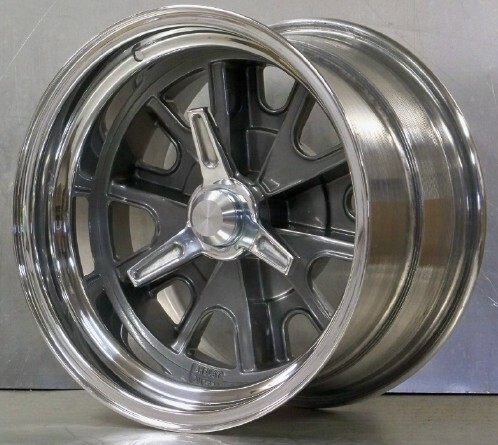 Top quality USA manufactured wheels guaranteed to fit your Backdraft Cobra with non ventilated (solid) rear rotors.